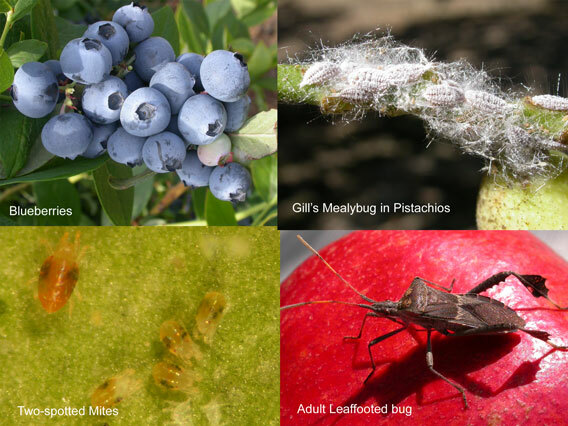 The purpose of the entomology program in Kern County is to develop and disseminate information that leads to improved adoption of Integrated Pest Management (IPM) in agricultural and urban settings. This is accomplished through research projects that are done in collaboration with other University researchers and local farmers, and that lead to the extension of results through field days, presentations, newsletters, trade journal articles, and various media resources. In California, the most important resource for pest management information is the University of California Integrated Pest Management Program web site. This contains information for farmers and pest control advisors (Pest Management Guidelines) and for home and landscape settings (Pest Notes). This Kern County Entomology web site will also be used to supplement the UCIPM web site by providing copies of a wide range of publications related to research and extension programs with which I have personally been involved. I encourage you to click on the links to the left or above, or to contact me directly, in order to find local pest management information.